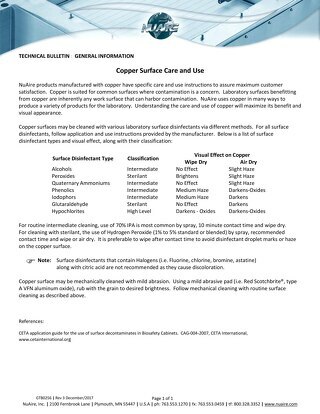 NuAire lab products manufactured with copper such as CO2 Incubators have specific care and use instructions to assure maximum customer satisfaction. 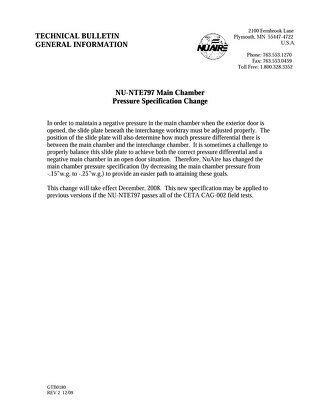 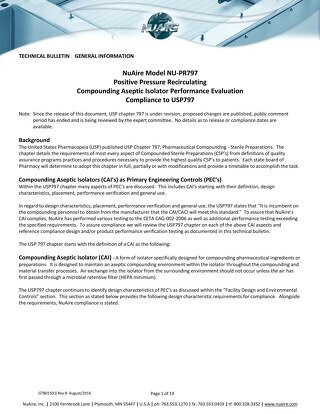 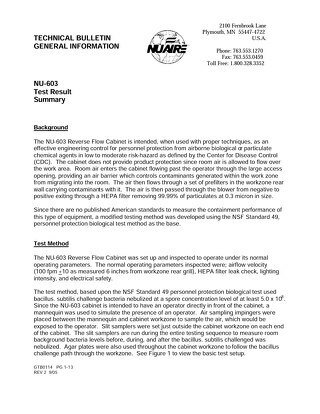 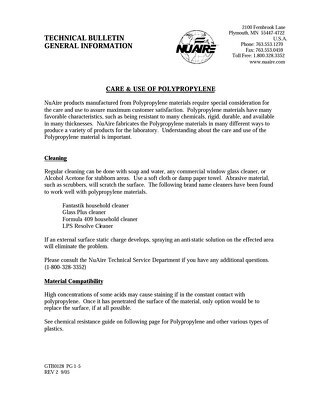 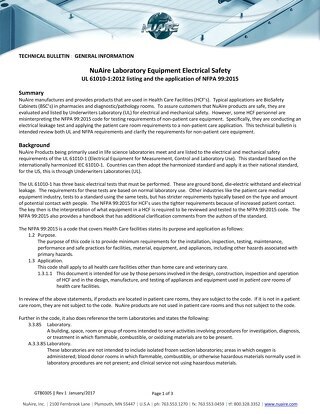 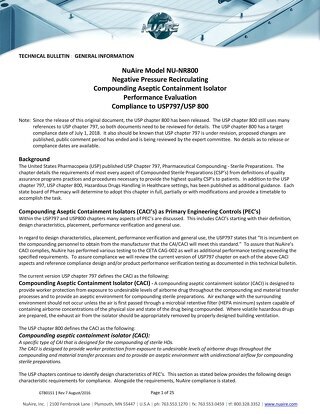 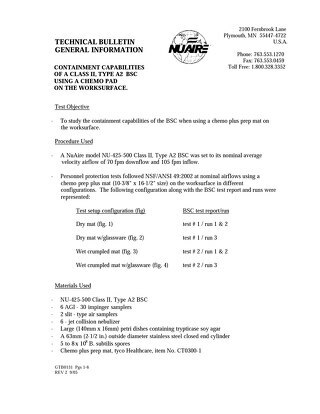 This technical bulletin is intended review both UL and NFPA requirements and clarifies the requirements for non-patient care laboratyr and pharmacy equipment. 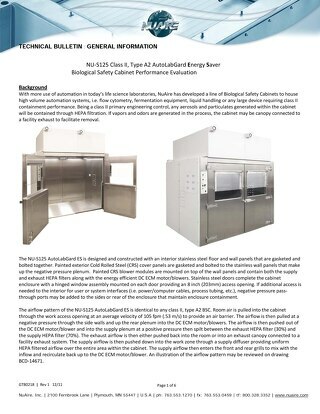 Use of volatiles in Class II, Type B Biosafety Cabinets (BSCs). 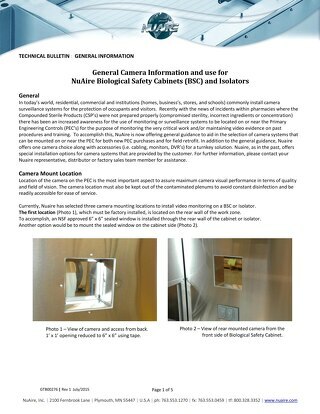 NuAire offers general guidance to aid in the selection of camera systems that can be mounted on or near your primary engineering controls. 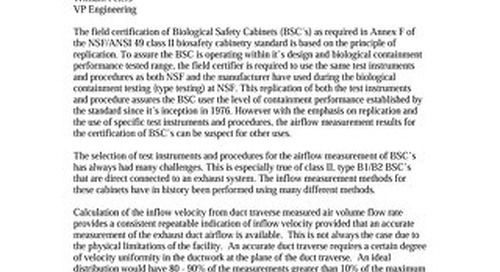 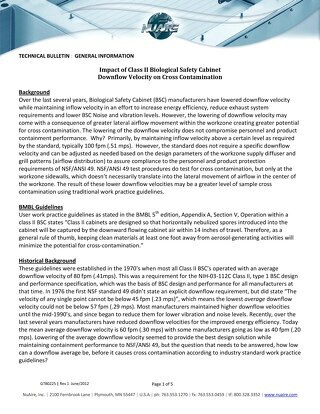 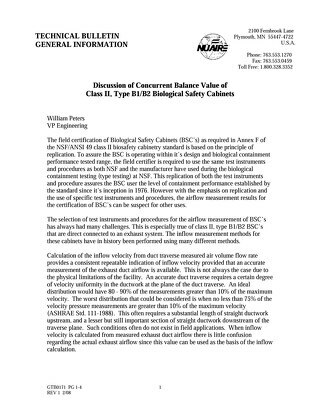 The result of lower Biosafety Cabinet downflow velocities result in a higher level of sample cross-contamination using traditional work practice guidelines. 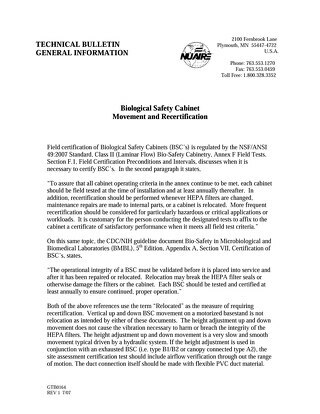 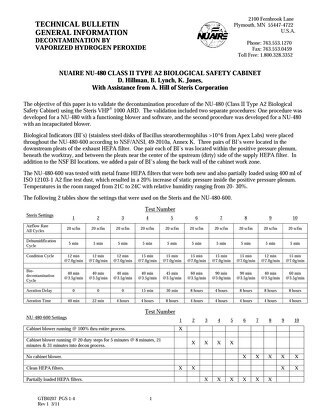 The field certification of Biosafety Cabinets (BSC’s) as required in Annex F of the NSF/ANSI 49 class II biosafety cabinetry standard is based on the principle of replication. 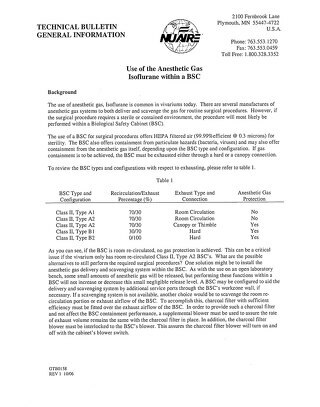 Surgical procedures using Anesthetic Gas in the vivarium that require a sterile or contained environment should be performed in a biosafety cabinet (BSC). 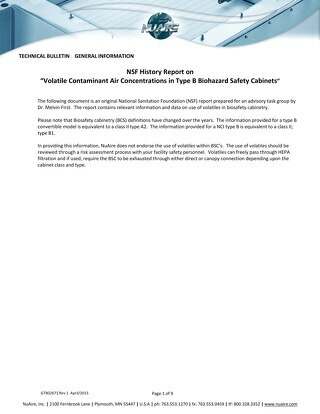 Biosafety Cabinets have a 15 year useable life. 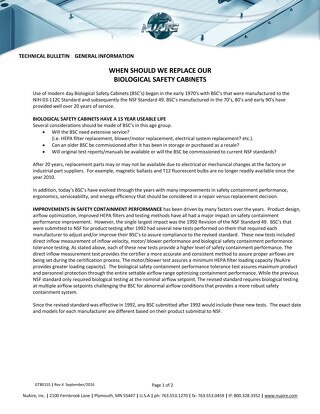 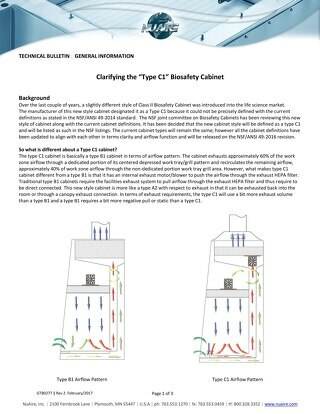 Read this bulletin to answer the question when to replace your biosafety cabinet. 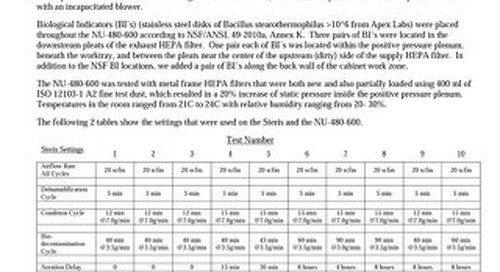 Performance capabilities of a NuAire biosafety cabinet (BSC) using a chemotherapy pad on the worksurface. 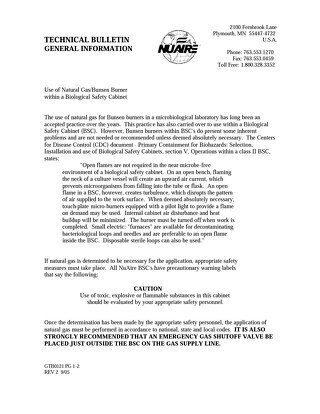 Bunsen burners and natural gas use within biosafety cabinet present inherent problems and are not needed or recommended unless deemed absolutely necessary.